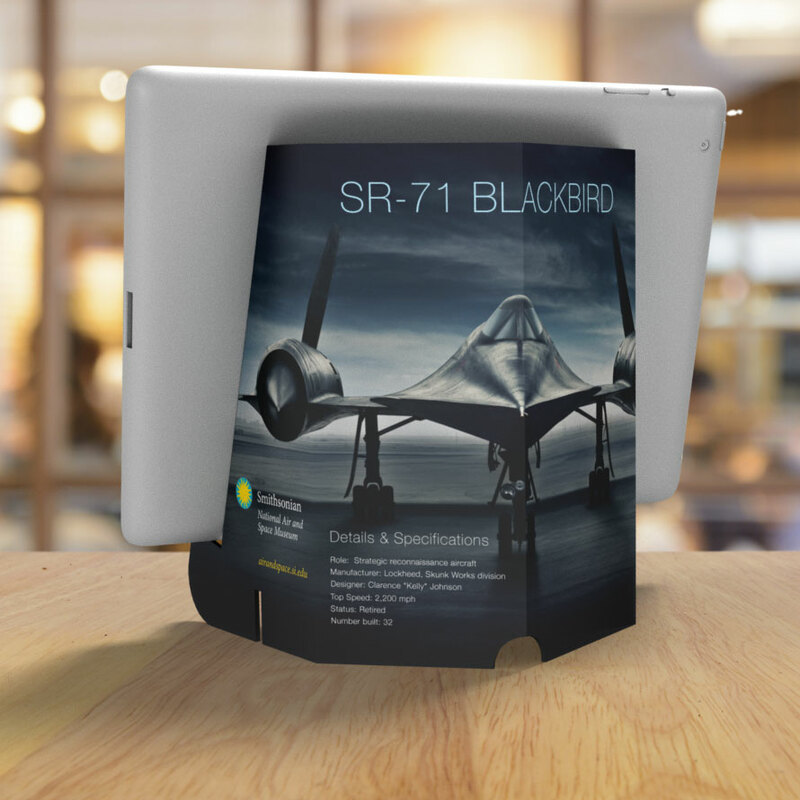 Brand Stand is an innovative and unique branding and advertising medium that gets your message in front of potential customers—on both sides of the screen. Brand Stand is an innovative and unique branding and advertising medium that gets your message noticed. 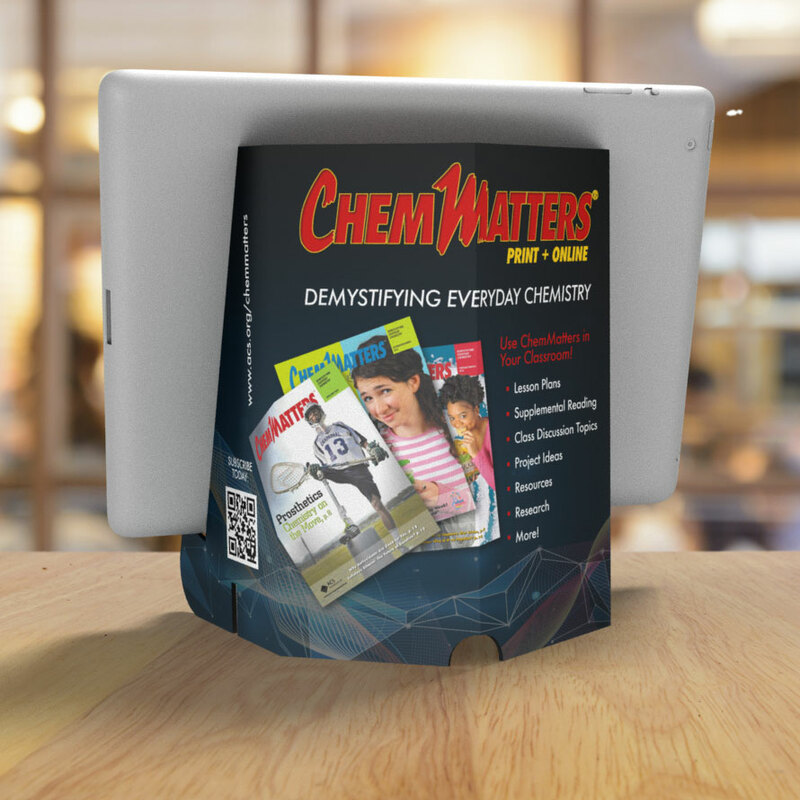 Completely customizable full-color graphics, flexible delivery options, and low cost make Brand Stand a powerful yet cost-effective supplement to any advertising campaign or marketing effort. Unique: Brand Stand is a patent-pending branding and advertising platform. Visible: Your message is printed facing outward toward your audience. 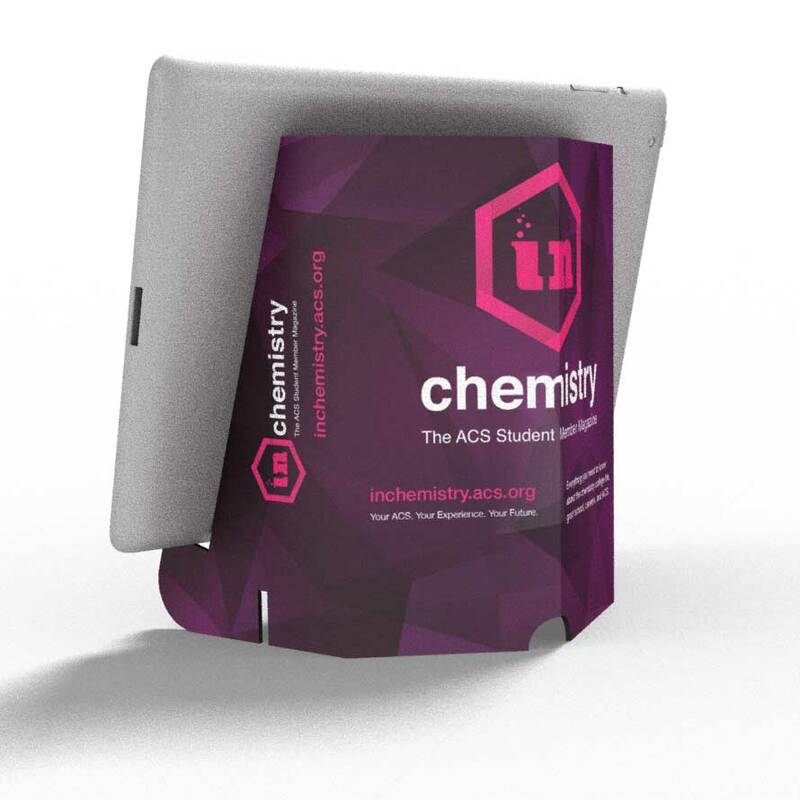 Highly visible in public areas such as coffee shops, restaurants, tradeshows, etc. 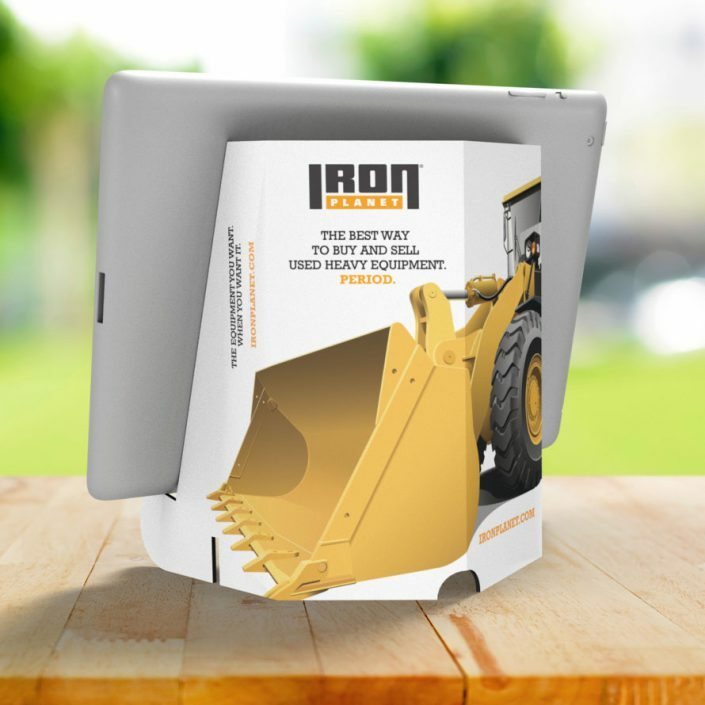 Custom: Each product is fully customized with your branding and message—in full color. Flexible: supports most mobile devices, from smartphones to tablets. 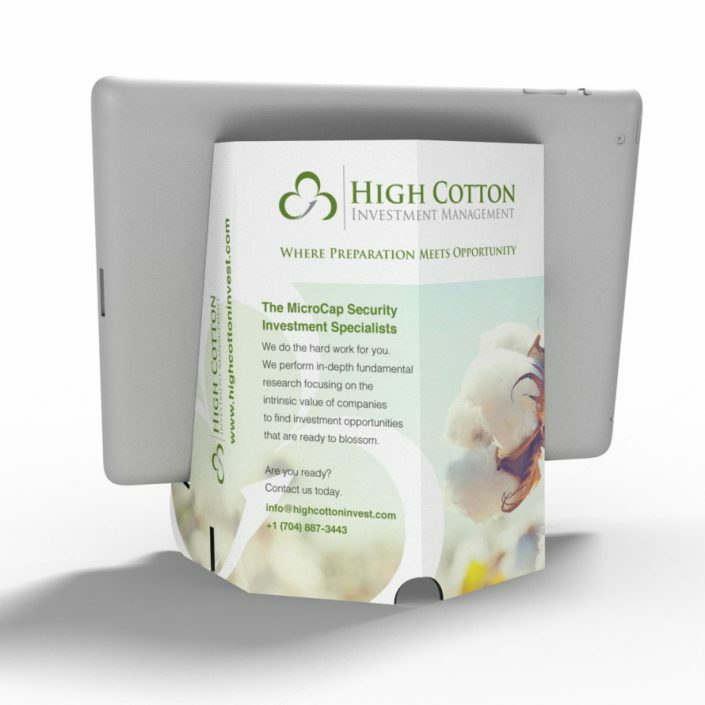 Lightweight & Portable: Easily unfolds to tuck into a notebook or folder. Eco-friendly: Made from sturdy, recycled and recyclable cardboard. Quality: Made in the USA with care and attention to detail. Nearly any organization can develop creative and effective ways to use Brand Stand as a branding and messaging platform. Political campaigns: Link directly to registration and/or donation pages. Promotional offers: Advertise discounts, coupons, programs, and special incentives. Marketing campaigns: Use QR codes drive traffic to landing pages or videos. 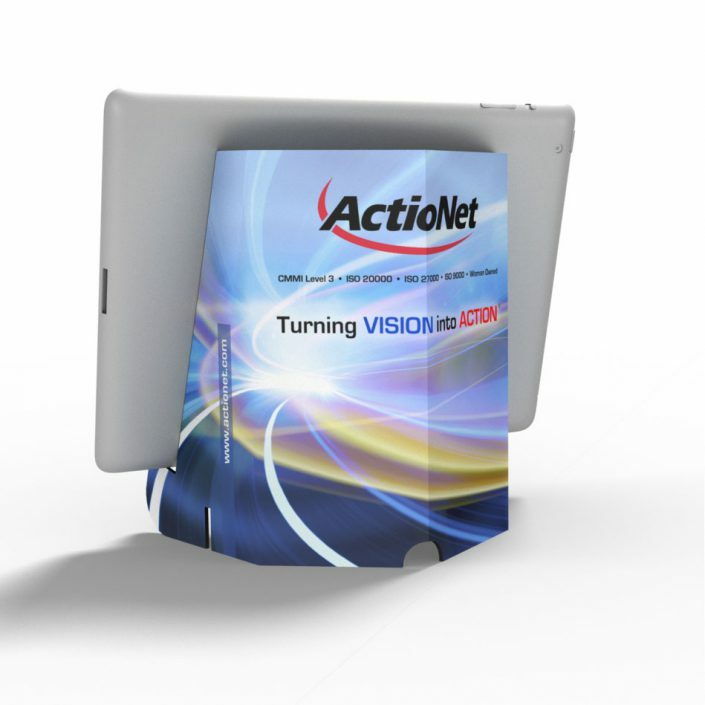 Events & Conferences: Promote your brand and/or products via a cost-effective give-away. Direct mail: Send as a direct mail piece along with other printed materials. Advertising & Co-Branding: Advertisers and sponsors get additional exposure. 495 Digital is a strategic branding and cross-channel marketing communications agency. We provide a full range of design, marketing, and advertising services including creative, strategy, content development, campaign implementation, and results reporting. © Copyright 2019, 495 Digital LLC. All Rights Reserved.